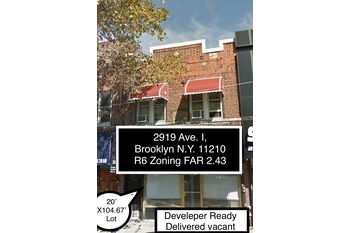 of this mix-use building at 2919 Avenue I,  Brooklyn New York 11210. This building is a prime opportunity, and a great investment. 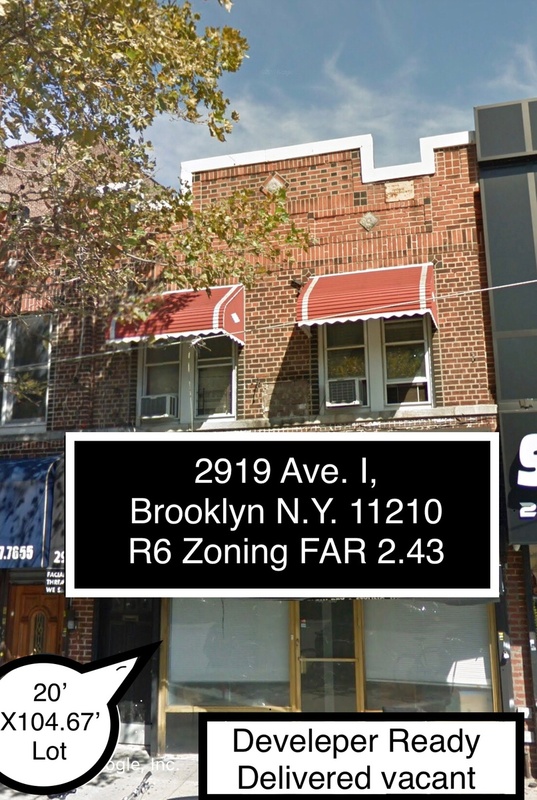 Prime locationcan Of Ditmas Park / Midwood / Flatbush, area of Brooklyn. 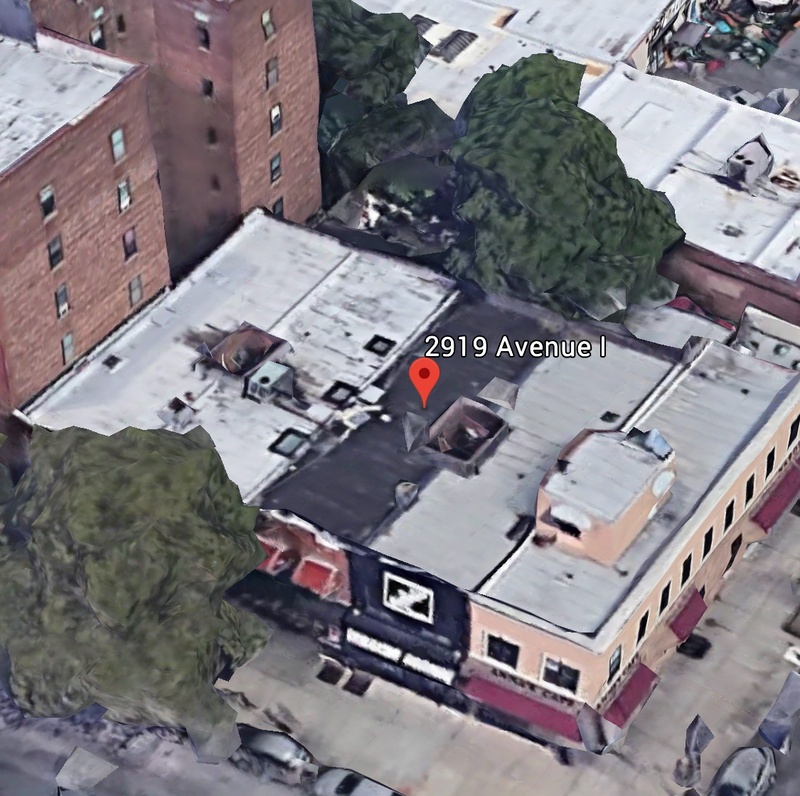 The building is located in between Nostrand Ave and Ave I, walking distance a block away from Subway lines 2 train, Express bus. 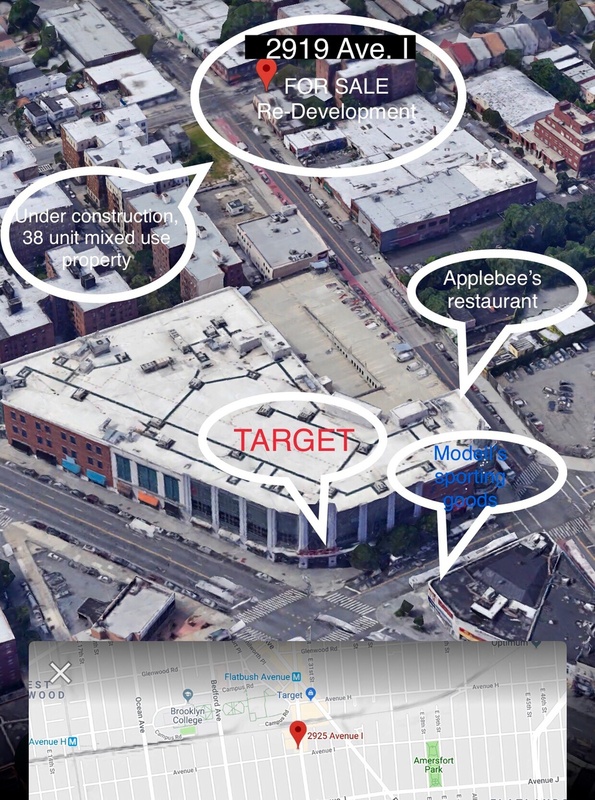 Nearby you have anchor stores such as Target, Nike, Applebee’s restaurant, Verizon, Modell’s Sporting Good. This brick building is approx 2560 SF. A 2-story property, consisting of 3 units (2 families+1 store). Being delivered vacant, developer already.